Are YouTube Hearing Tests Reliable? Discussion in 'Support' started by RonnieCarzatto, Jul 23, 2017. Was thinking recently about Hidden Hearing Loss. I clicked on the above link while browsing around the internet, as the knowledge I've learned from here that audiologists and ENTs only test up to 8khz was really bothering me. If there are any experts on the subject or anyone with a good knowledge, are the above tests as reliable as one conducted at a hearing test centre? 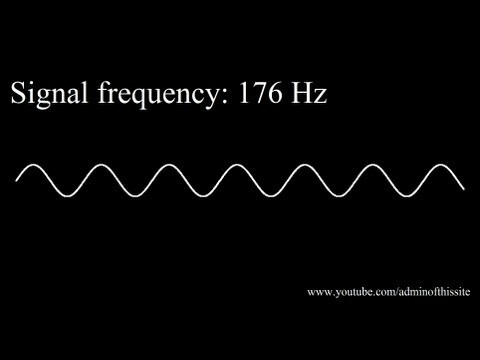 As far I know, YouTube only allows audio that goes up to 15,000 Hz; so anything over that you won't hear regardless. I think there's hearing tests you can get done professionally that go quiet high but they'd probably take a bit of searching to find. Hope you're doing well Ronnie! I don't think they're accurate. I score better on any online tests than I do on the actual tests performed by audiologists. I've found most of the tests kinda garbage online and through apps. Best to find a good audiologist that will test past 8,000hz. I'll keep searching then. Unfortunately most audiologists and ENTs around my area only test up to 8k. Thanks y'all. @Paul10 Was doing well but had a bunch of random spikes that set me back. Still hangin' in there. I had the same problem. I spent half the day on the phone ringing around trying to find one! Please read about the definition of hidden hearing loss. You want to test is your high frequency hearing treshold, which is something else. Well the only definition I have been given is from various posts on this forum. I mention that every audiologist I have seen, three so far, tells me I have great hearing. Then I am told my tinnitus is probably caused by hidden hearing loss and the only thing mentioned is that most audiologists only test up to 8khz. I'm told people with hidden hearing loss cannot differentiate speech in a noisy environment, but I can no problem. This is all I have been told about the matter, well that and my ENTs dismissed this "fewr mongering theory" (his words, not mine). So I'm trying to get to the bottom of this but options are very limited where I reside. YouTube does weird compression magic and keep in mind that your speaker or headphones will likely not be calibrated or have a flat frequency response. It is unlikely that it will be accurate. You could try a frequency generator and audiophile grade headphones with a flat frequency response that goes to 20khz, but measuring the volume levels and thresholds will be difficult. My ENT told me that I may have hidden hearing loss due to acoustic trauma. The standard test they do is up to 8Khz. You don't have trouble to understand speech in noisy environments because either the person you are talking because only one of ears has greater hidden hearing loss than the other. My hearing is normal (0-20db) in the standard test but I find myself struggling to understand speech in a noisy environment and I usually turn my "good ear" towards the person that is talking. I do not trust youtube hearing tests. I have tried some of them but I believe that they might do more harm than good. e.g very low and very high frequency tones must be listened at extremely low volume. Also, I don't recommend listening music with headphones. In windows 10, when you plug in your headphones or change volume and even sometimes when you just hit play on windows media player or youtube, a static electrical current develops which sounds like loud white noise 8Khz (masks my T by far), it's fairly audible, fairly loud above the music, even with system volume 2-3 and windows media player volume 8. The problem with doing audiograms yourself is calibration. You ideally need a set of balanced headphones, with a flat response, so that all frequencies are represented equally and accurately. And the same applies for the source of the sound. You also have to be sure that you are really ‘hearing’ the sounds at the lowest decibel levels because it’s easy to have auditory hallucinations at such quiet levels. Audiologists confirm the accuracy of different frequencies by revisiting them to verify the measurement. You can’t do this if you’re on your own. There’s an app called mimi which is probably the closest you’ll get. do you use headphones? i have all the same symptoms and non symptoms as you. I am pretty sure it was from ear buds but the good news is that it went almost completely away as of now.... the bad news is that i can never use those buds again. my GP was confident it would go away. If you know how to make the test it is reliable as screening test and some cases more reliable than standard audiometry up to 8khz. To do the test you need good headphones & a healthy 18 years old person with good hearing without T to compare hearing with yours.18 years old with good hearing will be able to hear about up to 17-24khz. hearing thresholds.I have observed that 1-3dB hearing reduction cause or worsen T.
The hearing is never stable there are temporary thresholds and permanent thresholds. Most ENTs say that 10-15dB loss is normal hearing the truth is that it is NOT normal. Absolutely not. My speakers fail to produce anything lower than 250 Hz and anything higher than 15,000 Hz. When I asked the audiologist to test 125 Hz it came up as normal. If you want reasonably accurate results you're going to have to find an audiologist that tests above 8,000 Hz.